NetworkedBlogs is a Facebook application to integrate your blog or website with Facebook. Now since most of the people are using facebook share to promote their blog on Facebook, NetworkedBlogs is not much useful. I decided to remove HackTrix from NetworkedBlogs but was surprised to see that its difficult to delete the blog from this app. I had to search the web and read the documentation at NetworkedBlogs to find out how to delete the blog from this app. 1. Go to the application page, and click on your “Profile” link on top. 2. Scroll down a bit to find your blog under the “Blogs I Write” title, and click on the blog you want to remove from this app. 4. On the details page, look for the “delete blog” link in the bottom right corner. Just click on it and your blog will be deleted from NetworkedBlogs. 1. Go to the NetworkedBlogs page, and click on your “Profile” link. 2. Scroll down on the profile page to find your blog. It will be under “Blogs I Write” section. Now, click on the blog you want to remove from this app. 4. Change the name of the blog to DELETE. 5. 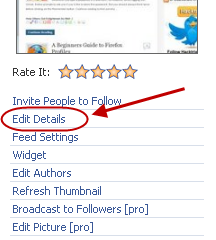 Get the email address of NetworkedBlogs support from the bottom of page and send them an email to delete the blog. It will be deleted in less then 24 hours. I’ll be publishing more facebook marketing tips so Subscribe to HackTrix to learn more about facebook marketing techniques.